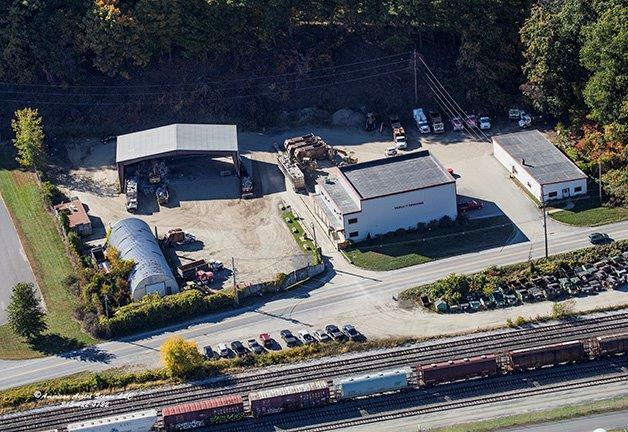 Triple T’s Sister Company, Brattleboro Salvage operates a private transfer station. 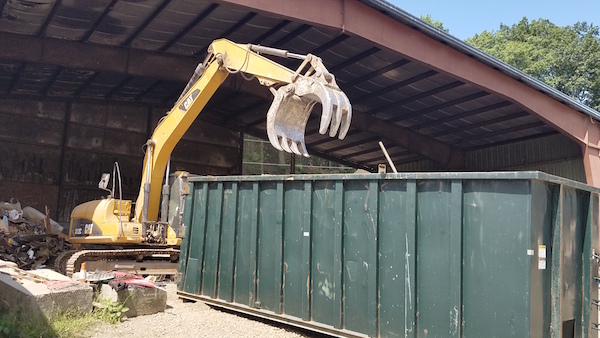 A transfer station offers the service of accepting smaller loads of waste and combining them to be trucked to a regional landfill. 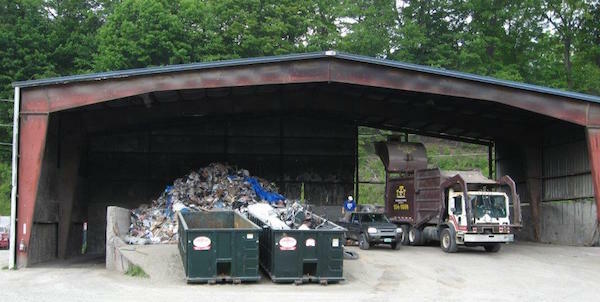 Transfer Station: We operate a solid waste transfer station located at: 437 Vernon Road Brattleboro. Our transfer station can accept household rubbish, construction and demolition waste, compostable waste, recycling among other things. NO Paints, solvents or Asbestos. 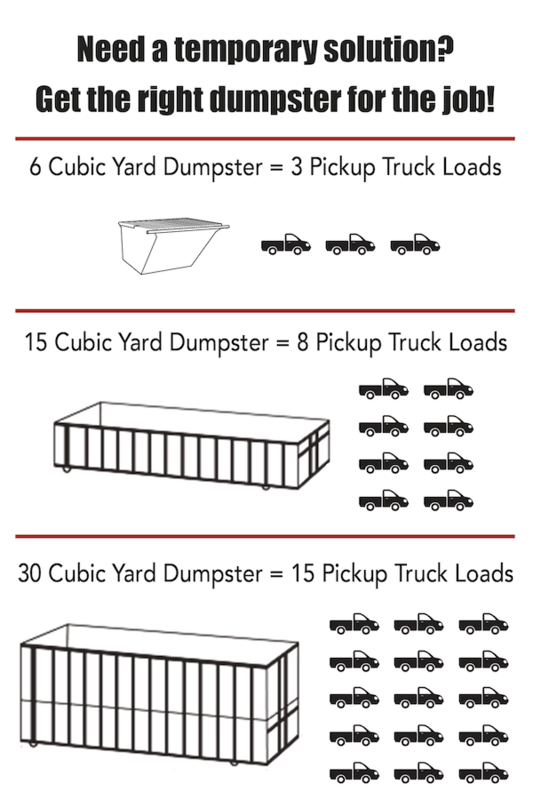 How it works: Our transfer station is located on just under 1.5 acres. In order to keep things moving smoothly we ask folks to use our access road located on the east side of Vernon Road. 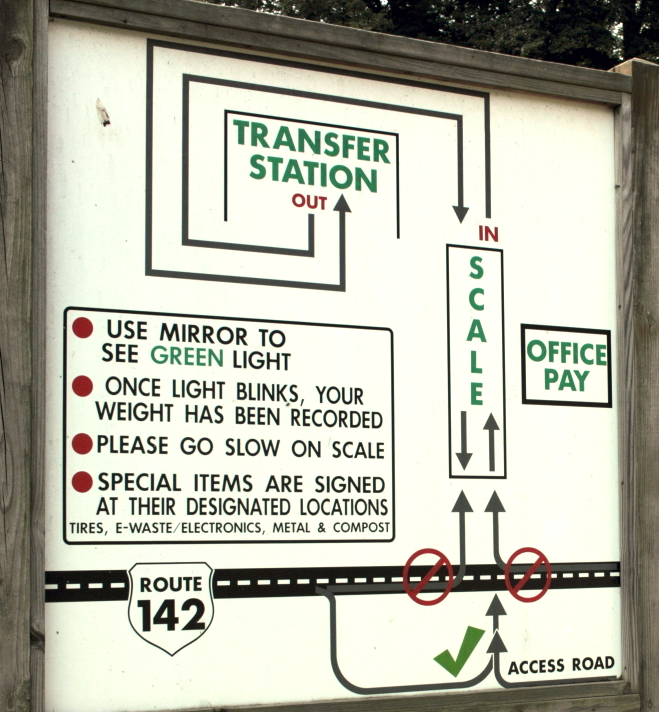 Once the truck scale is free of traffic you may proceed across Vernon Road onto the scale. Once on the scale, use your driver door mirror to look for the blinking green light located on the fence directly behind you. Do not leave the scale until the light blinks it is a constant green. Once the light blinks proceed straight ahead and around the large open face building (the transfer station). 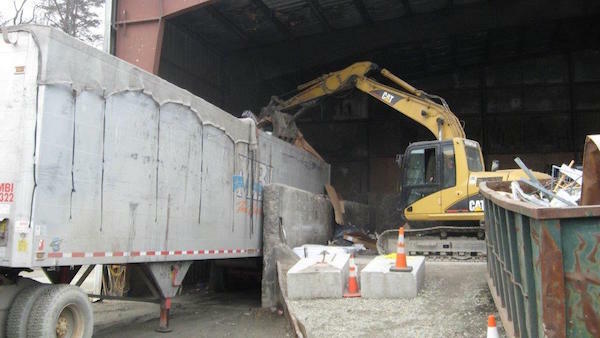 Please wait until the attendant motions for you to back into the transfer station to unload. Once unloaded drive back around the transfer station to get on the truck scale to weight out. When you see the green light flash you can go up to the scale window to pay and be on your way.